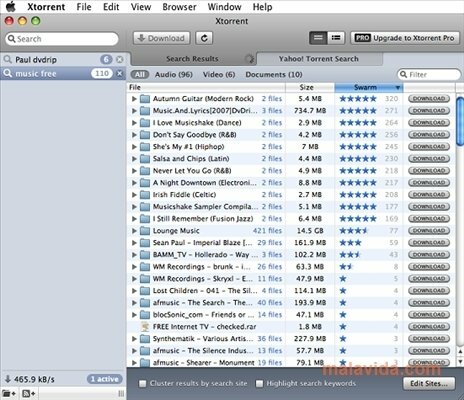 Xtorrent is a BitTorrent client that will allow you to exchange files. 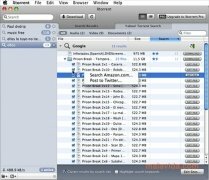 This program for Mac has as a main advantage, the simplicity of its interface and how easy it is to use, because you only have to perform the search of those things you want to download, and Xtorrent will show the list of files available to be downloaded. Select the one you want and download it. Allows you to view the contents of the Torrent files before downloading them. Suggests words and sentences while you write. Allows you to establish limits to the bandwidth it uses. Perfect integration with iTunes and automatically exports video and audio files to synchronize them with an iPhone, iPod or Apple TV. 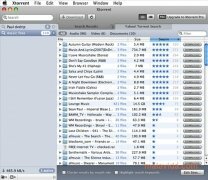 Xtorrent is the best Torrent application for Mac OS X. Furthermore, Xtorrent automatically configures the ports and the routers so that the user doesn't have to worry about any technical element. Due to all these reasons, Xtorrent is the best option for those users that are looking for a BitTorrent client that is easy to use, simple yet effective. Runs on Mac OS X 10.5 Leopard or above. The trial version limits the speed of the download to 100 kB/s after 10 minutes.